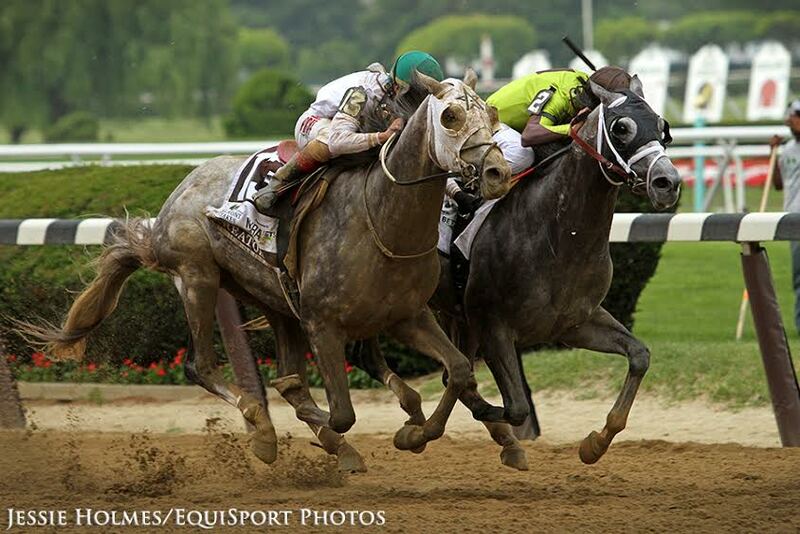 Creator qne jockey Irad Ortiz Jr. won the Belmont Stakes by a nose, edging out Destin. It may not have been a year for a Triple Crown win, but all three of the Triple Crown races have been great to watch and the Belmont was no exception, with Gettysburg setting a strong early pace and Destin and Creator fighting all the way to the end. It came down to a matter of inches, with Creator sticking his neck out at just the right moment. The Japanese-trained enigma, Lani, also ran a strong race, finishing third. Was it just coincidence that all four of these horses were gray? Gettysburg is a colt known for early speed and was entered in the Belmont Stakes as a “rabbit”. of strategy involved. Creator is a late runner who does best when coming up behind a fast pace. Enter the “rabbit” — a horse that has no chance to win the race, but who sets a pace that will help tire out other horses early on in the race. WinStar Farm, the majority owner in Creator, also owns Gettysburg, known for his blazing early speed. WinStar transferred Gettysburg from trainer Todd Pletcher’s barn to Creator’s trainer, Steve Asmussen last week, setting the stage. Gettysburg did his job — setting an early pace, pushing Destin in the first half mile, then fading. On cue, Creator charged to the front, helped by a very nice ride from Irad Ortiz, who saved ground by keeping Creator on the rail. So, what happened to Exaggerator? The heavily favored colt is also a “closer” so this strategy could have benefited him as well. However, in the Belmont, Exaggerator was much closer to the early pace, sitting in fourth, instead of lurking behind as he did in the Derby and the Preakness. He appeared to be fighting his jockey and asking to be turned loose and moving up to third, which is not a good strategy for the mile and a half Belmont — the track is called the Big Sandy because of it’s size and the loose, soft footing — where staying calm and conserving energy is key. When Kent Desormeaux asked Exaggerator for his signature move, it wasn’t there. Realizing the colt wasn’t going to be a contender Desormeaux eased him up and finished eleventh. 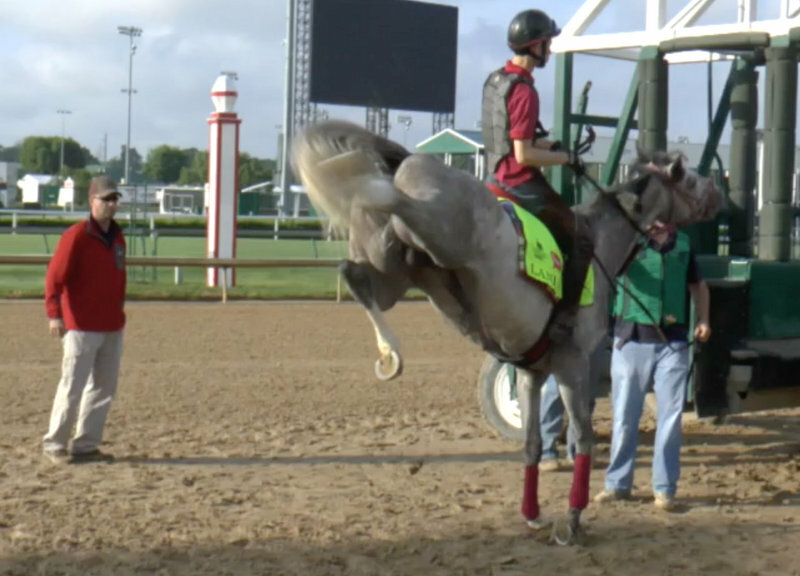 Lani is known as much for being difficult as for his speed — when he chooses to run. Third place finisher, Lani, is also a closer. At least when he decides to show up to the race. The Japanese-trained colt is notoriously difficult. He doesn’t join the post parades because he is too aggressive around other horses (he is kept in virtual isolation in the barn), and only he decides when he feels like running. In some of his workouts his exercise rider couldn’t coax a gallop out of him (apparently he is quite “studdish” and was more interested in breeding than running, a fact that caused several workout photos to be photoshopped before they were released). And yet, when he feels like running, he is wickedly fast. His finish in the Belmont was impressive. All the pretty (grey) horses in the field at the Belmont are descendants of the Alcock Arabian, whose fuzzy lineage cannot be directly traced back to the well-documented three foundation sires (Godolphin Arabian, Darley Arabian and Byerly Turk). However, Nasrullah and Native Dancer, famous grey Thoroughbreds whose bloodlines include Bold Ruler, are proof that the lineage and speed of the Alcock Arabian lives on.